In Houman Harouni’s recent article critiquing the format of TED talks, he brushes lightly on the idea of self-commoditization, and how that was once a distasteful thing. That ought to make some readers squirm; personal branding has become the default setting, it seems, for online existence. Maybe it doesn’t make you squirm. But it makes me squirm. I’ve never been completely comfortable with the idea of a person being their own brand, even if folks like actor Kevin Hart have completely embraced it. Leaked Sony emails prompted a response from Hart in a post on his Instagram account. How you see yourself, and therefore, the content you create, will dictate how you will handle your online existence. 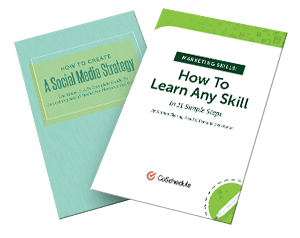 It will determine whether you’ll have multiple social accounts and how you will approach your blog content. The first chapter of Jon Ronson’s excellent book So You’ve Been Publicly Shamed tells the story of his confrontation with three men who had created, in the name of academic study, a fake Jon Ronson Twitter account. The fake account tweeted out random things that appeared mildly nonsensical, and suggested Ronson was a foodie. Ronson finally confronted the men, asking them to take the account down. During this discussion, the issue of personal branding came up. Ronson expressed his annoyance at the situation, claiming that they were stealing his identity even in the face of admitting that no, he wasn’t the only Jon Ronson out there. While the entire discussion is an entertaining read (and yes, the fake account was pulled down with the help of the Internet shaming these men into doing so), Ronson was clearly displeased with the idea that he was mostly upset about the fake account because it could hurt his personal brand. Personal branding is the practice of people marketing themselves and their careers as brands. While previous self-help management techniques were about self-improvement, the personal-branding concept suggests instead that success comes from self-packaging. It’s all about how you package yourself up. It’s as much about what you put in as what you leave out (which Ronson also talks about in chapter 11’s discussion on skewing Google search results to bury anything bad about you). In order for personal branding to work, you have to know who it is you want to present yourself to, and how you ought to appear. You can’t package yourself up if you don’t know what kind of package your desired audience prefers. You have to know what your “brand assets” are, and what “brand liabilities” might be floating around. You have to know how to control what is associated with you. For personal branding to work, know who you'll chat with, and how you'll appear. This, probably, is what put Ronson off. The idea of wrenching yourself this way and that to fit what people want of you instead of being who you are. Unfortunately, even if you don’t like the idea, your online trail is, by default, creating a personal brand. The things you say, post, create, and participate in are all being gathered into an easily found collection, compliments of the search engine. In some way, Ronson was correct: by messing with a person’s online brand (whether he wanted to call it that or not), you can participate in a kind of identity theft. Your personal brand is your online identity, and it is becoming a bigger and bigger part of your entire identity, including offline, every day. Personal Branding: What’s Your Type? Personal branding isn’t everyone’s cup of tea. No personal brand is ever purely honest in the sense that you live your entire life unvarnished for the world to see. Personal branding is very much “photoshopped” into fitting the niche we want to belong to and the identity that attracts the largest audience we are aiming for. Some of us are more comfortable with that than others. That’s where types come in. Type 1: Comfortable with personal branding. If you’re a Type 1, you’re a completely open book. You’re open for business 24/7, and anything you do online falls into place with a carefully constructed brand made up of you. You firmly believe that by putting everything out there, and being as real and personal as you can be, people will latch on and become die-hard fans. It’s likely you are right. However, even the most aggressive personal brand supporter understands that you have some elements of personality or interest that don’t fit the brand. You make business and content decisions according to what you feel fit the picture you are painting of yourself. I'm a type 1 personal brand. Check this out to find your personal branding strengths! Everything you do online must fit the brand you want to create. That means you must have a kind of “light table” in which you hold up everything against to see if it matches the brand you’ve outlined. Every comment you make, every piece of content you share, everything you write—it must align with your personal brand. You don’t get to be controversial and share or create contentious content, unless your brand is one of being controversial. Summation: How you want others to see and understand you is at the forefront of every business and content decision you make. Action: Always open, always on. If you’re serious about your personal brand, you’ll protect it at any cost. Its demise will affect your personal life and your very identity, since they are so closely connected. While you are always open and available for discussion, conversation, and engagement, you are also always on. If you’re an introvert, this is going to be tough. All that interaction with other people will drain you. If, however, you love people, this doesn’t seem so bad. Summation: Any person who connects with your personal brand, no matter the time or setting, gets your full attention. Type 2: Not comfortable with personal branding, but wanting to participate in content marketing. If you’re at all a bit like me, you’re not wholly comfortable thinking of yourself as a brand. Other marketers who are won’t understand your reluctance, but I get it. You want to tap into the power of content marketing because you have a product or service to sell online, but you don’t want to feel as if you are selling your soul. The key to making this work is to allow yourself to have a “multi-faceted” identity without feeling guilty about it. Enthusiastic Type 1’s will never preach a message you understand; they are always going to trumpet authenticity and always being connected to your fans. You must be able to take the things that they can teach you and still maintain an unbranded identity that you protect. You’ll want to compartmentalize, including how you spend your day (e.g. definitive work times and personal time) and the kind of access you allow people online (e.g. personal contact only with people you are personally connected to). For example, I have a rule of no work or work-related conversation after 6 pm. I walk away from the computer, shut my office door, and go do other things. When I’m with family or friends, conversations with followers online cease no matter what time of day. No phone, no computer. This keeps that online brand from bleeding into the life I’m living with the people around me. You might have a blog that you use to create content in your niche, but a personal, unpublicized blog that you use to share vacation photos or rants on. Summation: Branded content stays in one section, personal content stays in another. Action: Defend the inner circle. You’ll want to create a clear separation between your “real” self and your “branded” self in how you behave online. This isn’t about being a hypocrite, or an excuse for horrid anonymous behavior. Instead, you’ve merely identified some boundaries and determined under what settings and which people can cross them. I'm a type 2 personal brand. Find your personal branding strengths in this post. It’s similar to compartmentalizing, but a more aggressive and protective approach the the very core of what you think you must protect in order to not feel like you sold out. This means you’ll probably have multiple social accounts, one with your branded name or personality and another that you use for people you connect with outside of the business realm. Restrictions on over-sharing personal life. I have social accounts with my name, which readers of my content know, but I have other accounts with nicknames that I use with family and friends. The latter is where I spend most of my time and share the links that might not have anything to do with the brand image, instead thinking “hey, dad would think this is interesting” and using that as a motivation. On Facebook, I only add people I know personally as Friends, and limit conversation and access to many posts to an even smaller list of close friends. I do allow people to follow if they want. I firmly believe that the people I follow and the conversations I listen to can affect me, and not always in good ways. So I set the boundary to be one of people I know care about me as a person and aren’t arguing just because they want to. Summation: Aggressively protect your private life, even from well-meaning and eager fans. Type 3: Not comfortable with personal branding, and unable to participate in traditional content marketing. There are days when I tip toward Type 3, and I can fully see myself, someday, ending up in this category. For those of you who fit this description, that’s OK. You can still enjoy the creative benefits of blogging and creating online. Start by getting off of any social media account you don’t need. And by need, I would say you use it purely to connect to the actual people in your life who you care about. Your entire thinking will have to be, essentially, backwards to how online life is now seen. You can still enjoy many of the apps and sites, but you aren’t going to have an eye for creating images, sharing photos, or writing content that attempts to create a persona. You are unabashedly you, unplanned, unpromoted, unapologetic, unassuming. Summation: You don’t care if people see you, nor how they see you. You take no planned action to control either. If you have any kind of online presence, even an unbranded one, the invading horde will always be clamoring at the gate. It’s the nature of the Internet. Take some practical steps to cut off the entrance. Reduce social media accounts to bare minimum, if any. Use a nickname in forums and discussions, connected to a non-revealing email account. Don’t share your content on social media, or publicize it in any way. 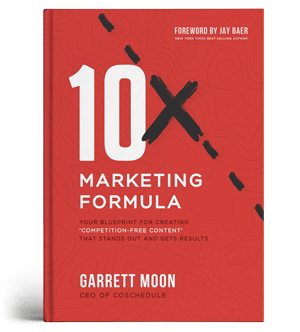 In other words, break all the content marketing rules you’ve ever heard, and do it without guilt or expecting the same results you’d get if you followed them. You can do that if you want to. It’s OK. Create content for the joy you get in creating it, whether anyone sees what you create or not. It is more than OK to be indifferent to what people think of you, or if they think of you at all. You might be pretty lonely, and you probably won’t sell unless you have something so amazing that this severe level of exclusivity drives people mad to throw money at you, but you will, at least, avoid the sense of branding yourself. Summation: Avoid or deflect any involvement which seems draining or excessive, taking measures to reduce any opportunity for it to happen. I'm a type 3 personal brand. Read this post to find your personal branding strengths. What Does Your Personal Brand Look Like? Your personal brand can, of course, evolve. As I’ve gotten older, I’ve been less inclined to live so publicly online as I was ten or more years ago. I’ve also noticed that when people start out online with the goal to make a living there, they start as a Type 1. As their audience grows and their reputation and renown grow with it, the need for affirmation lessens and they slide toward Type 2. Then, when you become Elvis, you can be Type 3. Which type are you, and why? Where will the next iteration of personal branding take us?